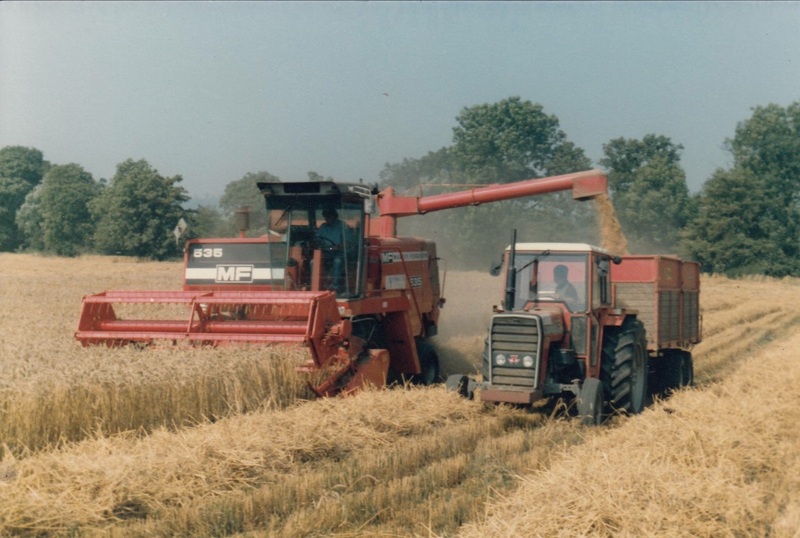 In this section we have a selection of photos from the Past. My grateful thanks to everyone who have posted or sent in these photos for us all to enjoy. 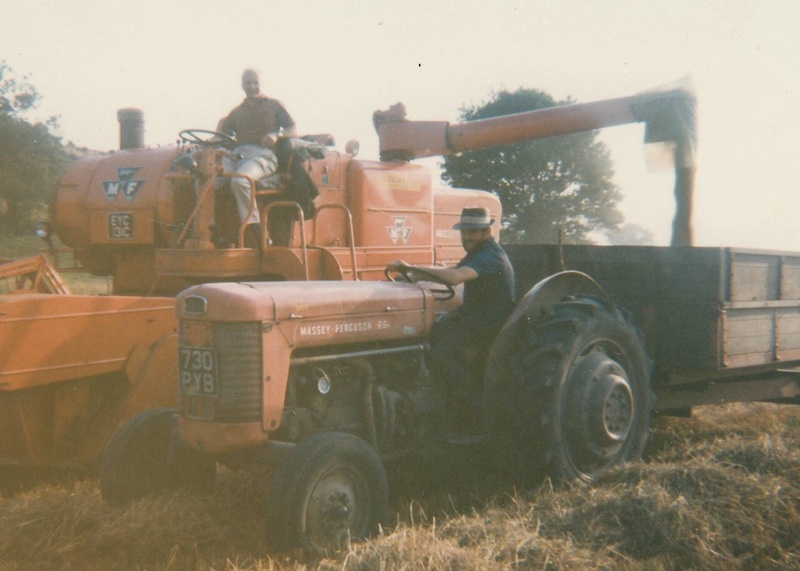 Local company N Yeoman who operated a large fleet of Massey equipment including Industrials. 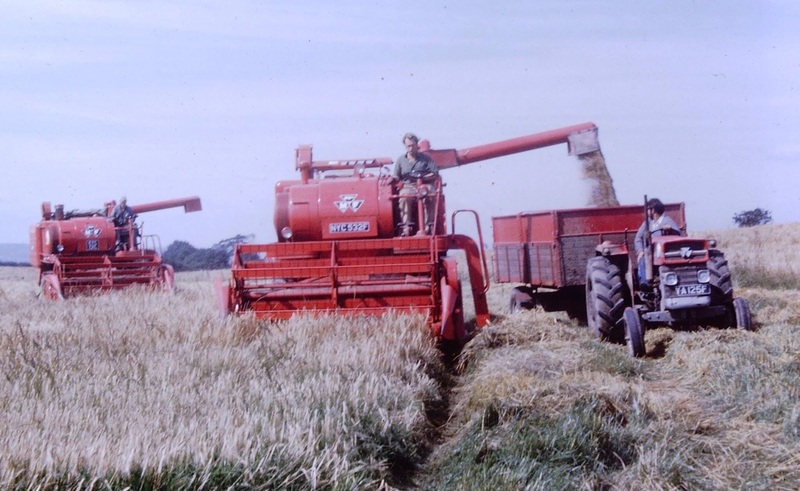 2 410s and a 780 harvesting here probably late sixties! 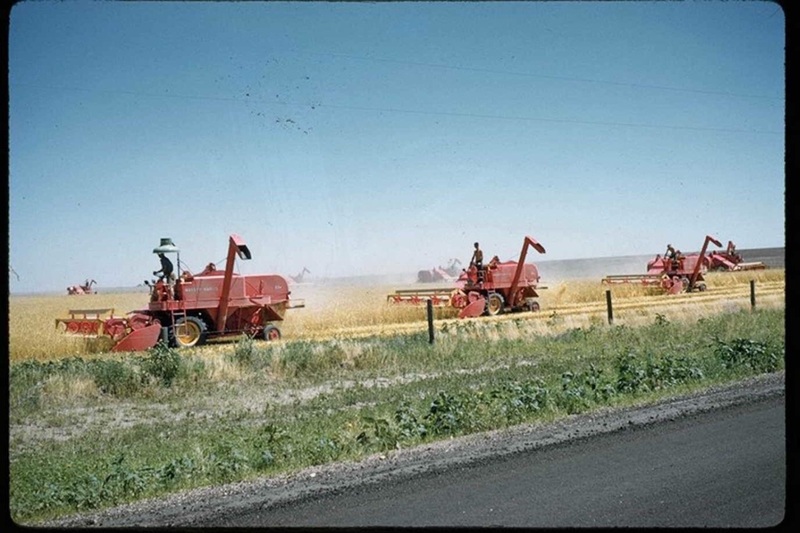 The two 410s Cutting out a section with the back of the 780 to the right. 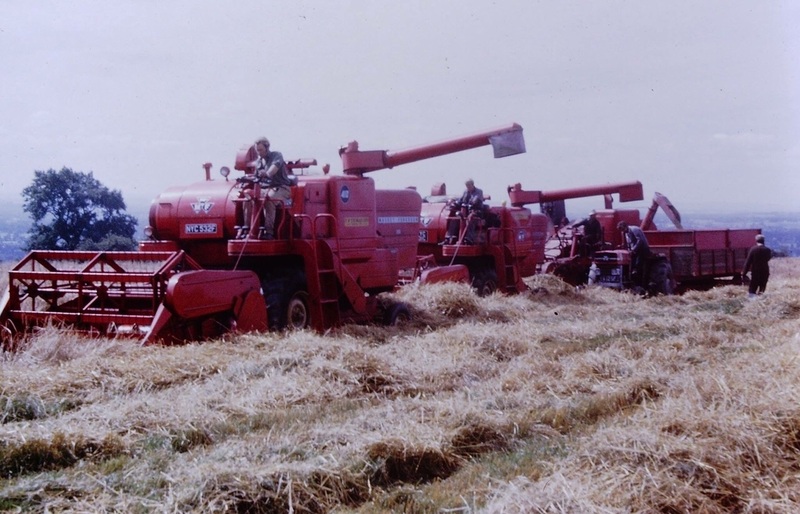 This 400 unloads into a trailer pulled by a Popular Massey 65 MK1 Tractor. 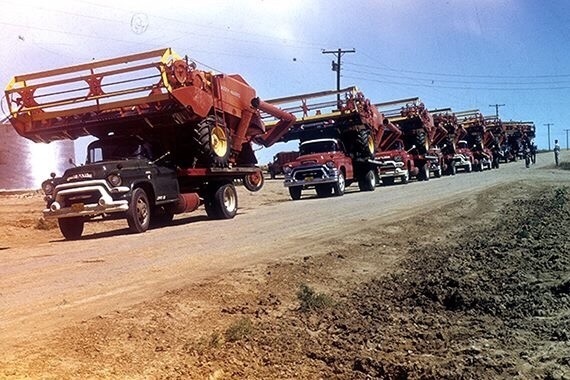 This 1965 400 series looks like it’s being demonstrated here for a customer!? 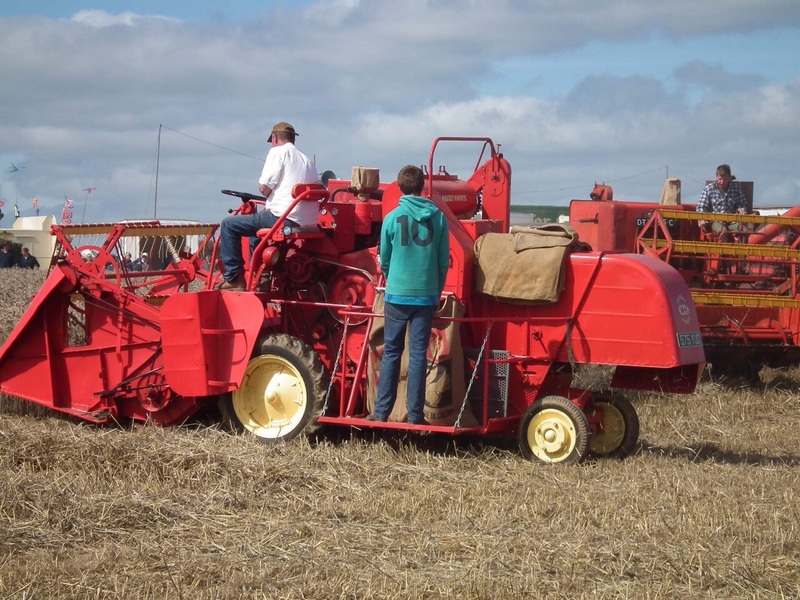 This early Massey Ferguson bagger being put through its paces in a crop of oats here! 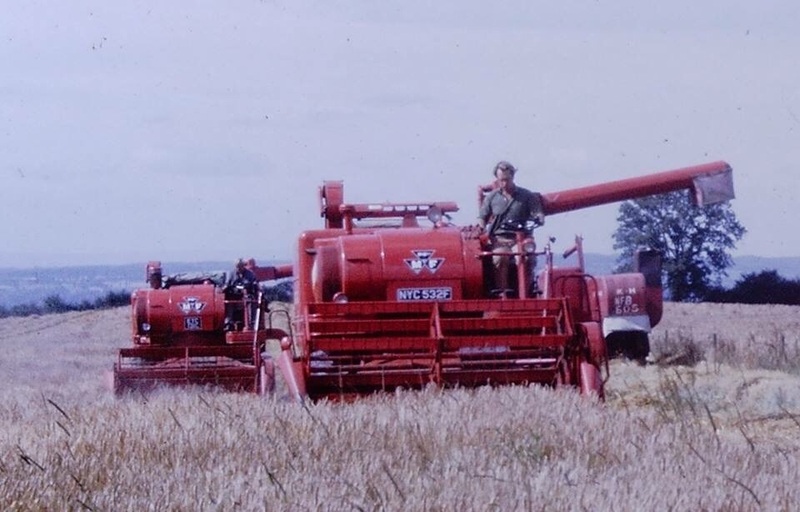 Note the height and density of the crop in those days!. 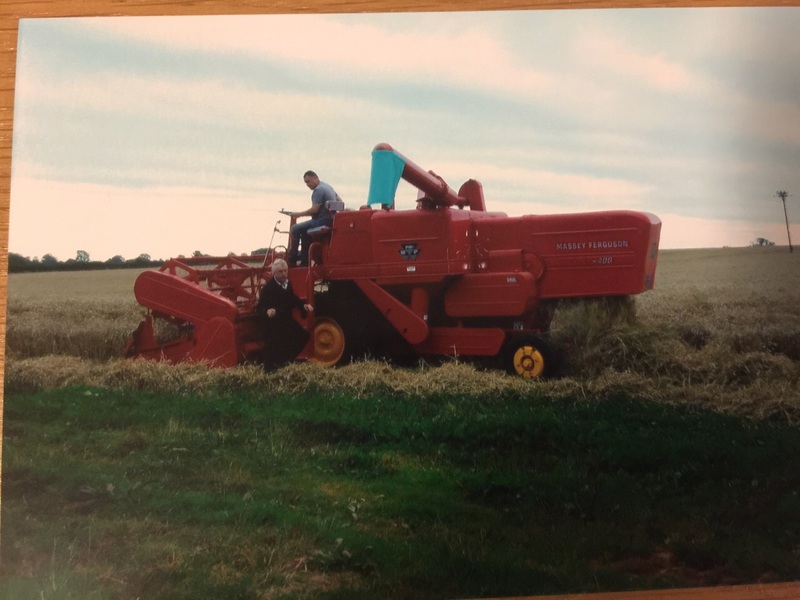 This Marquette built 535 at work . 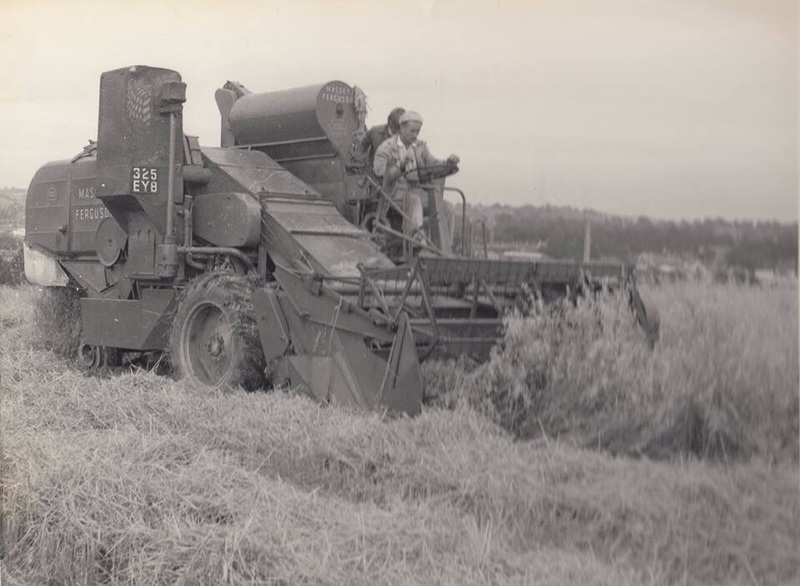 Cracking shot here of a custom cutter at work stateside.early sixties. 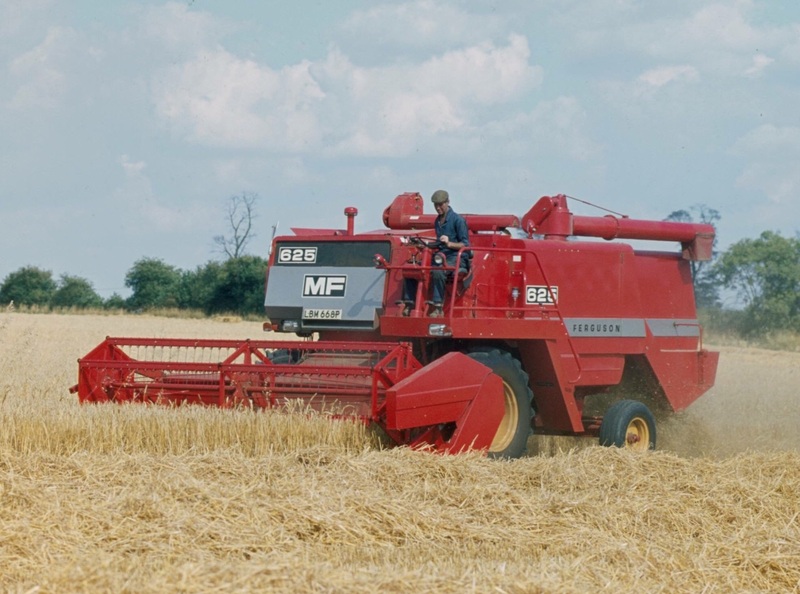 Probably Super 90 models! 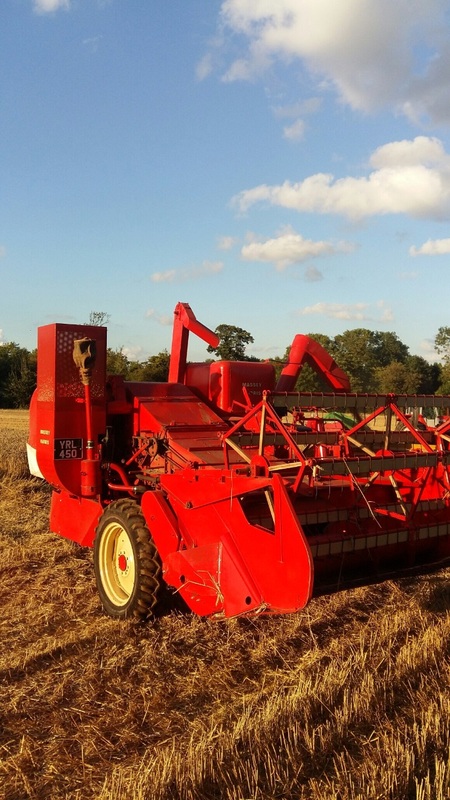 Andrew Blagg’s fine 780 restoration seen here completing the 2017 harvest. 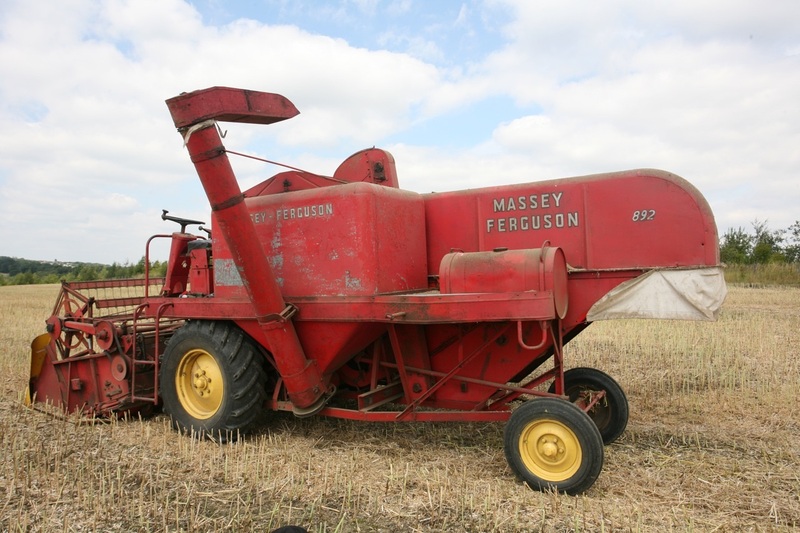 Andrew Blagg’s most recent restoration this Massey Harris 21 a UK machine. 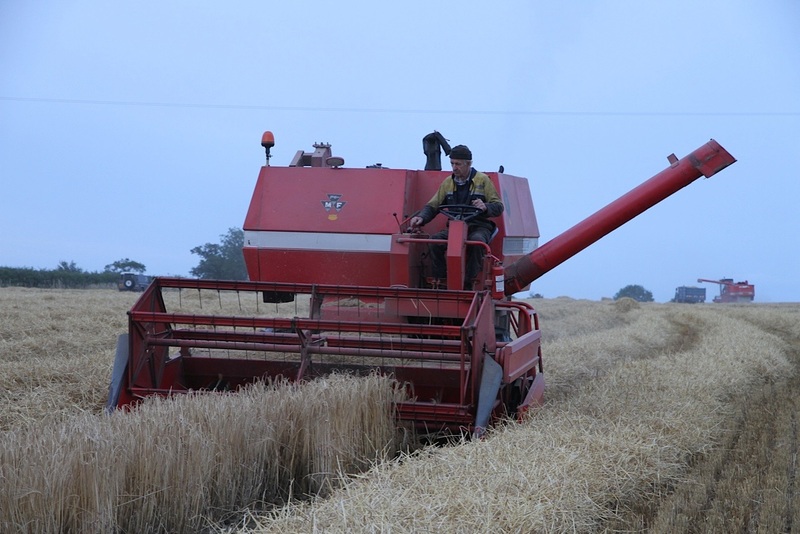 Cutting some wheat in August 2017 ! After many years parked up. 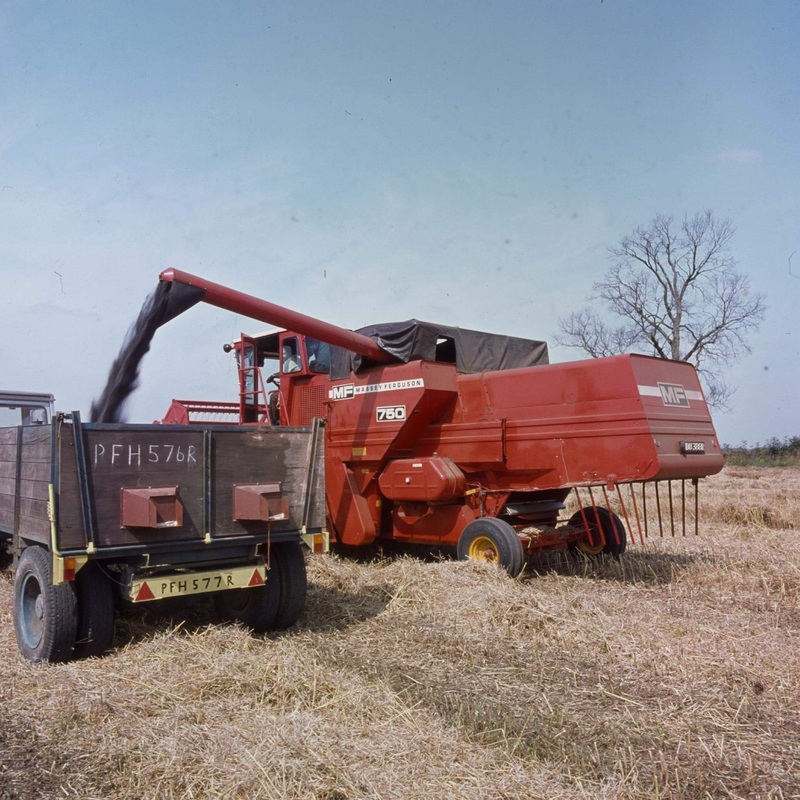 A 1976 registered New 625 seen here on her first harvest. 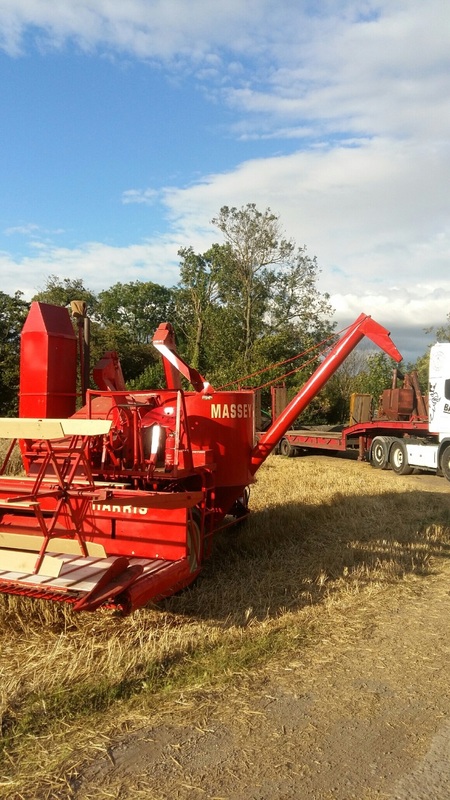 Stateside and a custom cutter on route to begin the great American harvest! 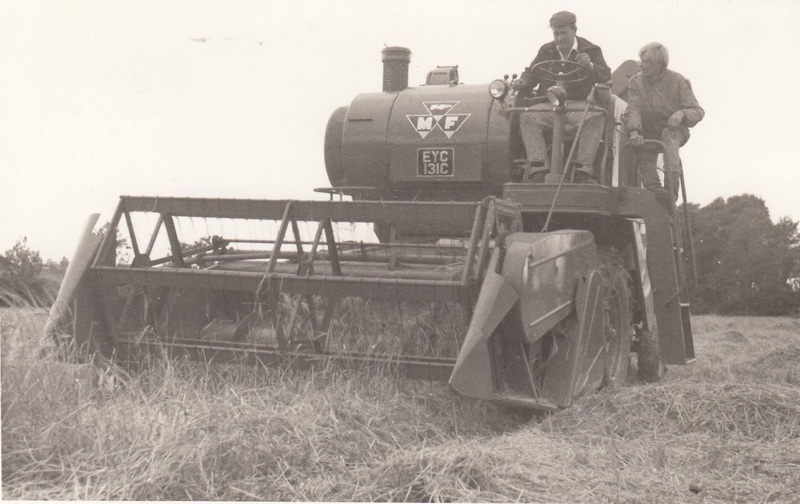 Probably early sixties shot! 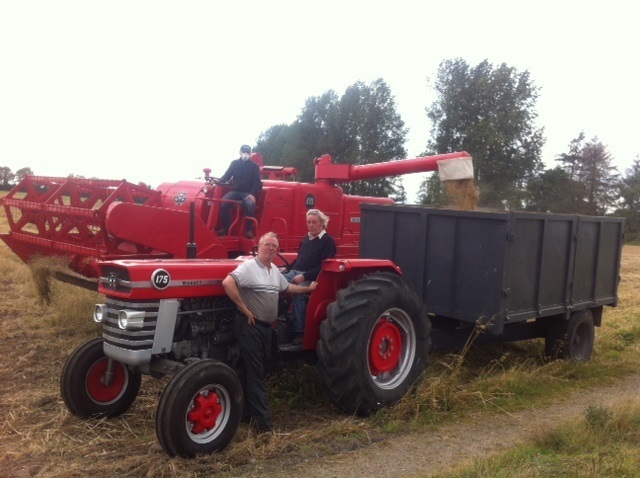 Tim Webs beautiful 735 bagger in action after a nut and bolt restoration. Another classic scene here restored 415 and 175 on trailer duties. 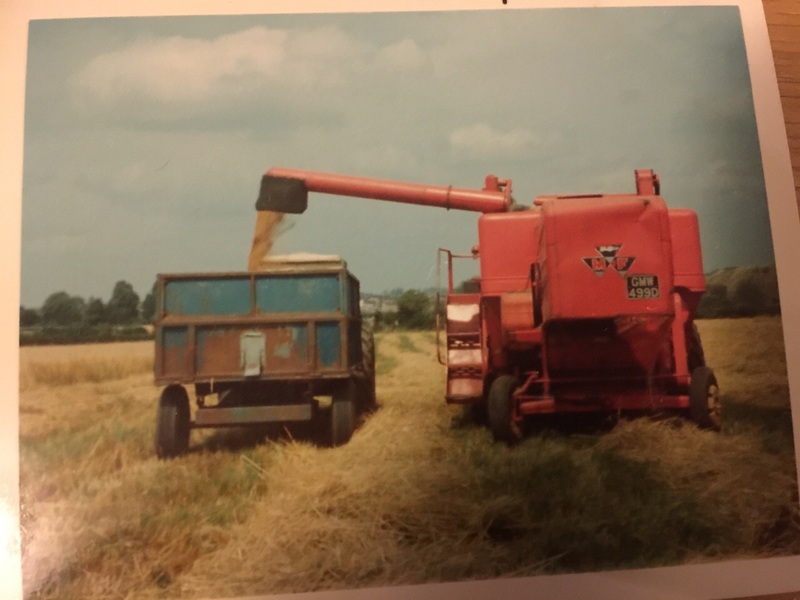 This 187 seen here still cutting in Ireland! 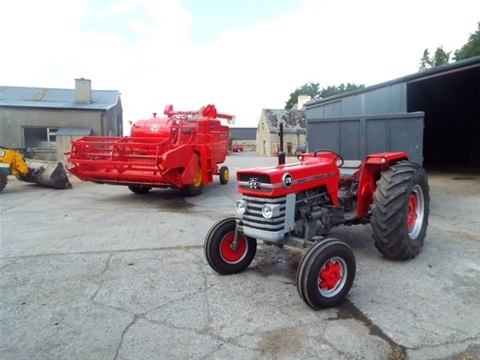 Another classic in the Andrew Blaggs collection, this mint condition 892 this model was the biggest model offered by Massey in its day and is somewhat rare today now in the UK as they were built for a very short space of time as the 500 series were also becoming available in numbers.